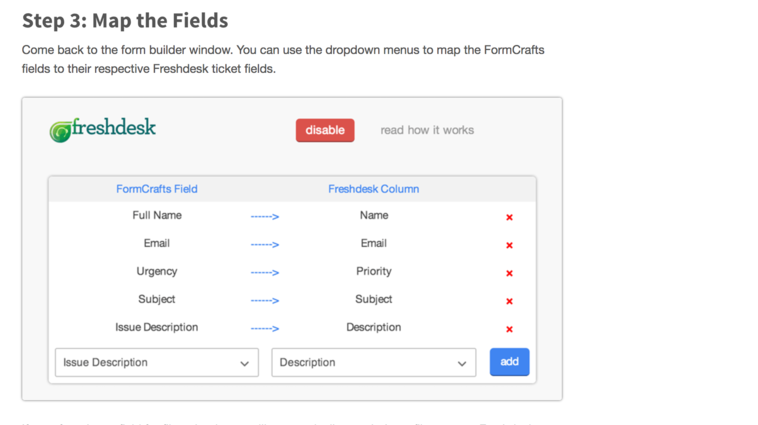 FormCrafts allows you to create forms using our form builder, where each response can be logged as a ticket in Freshdesk. 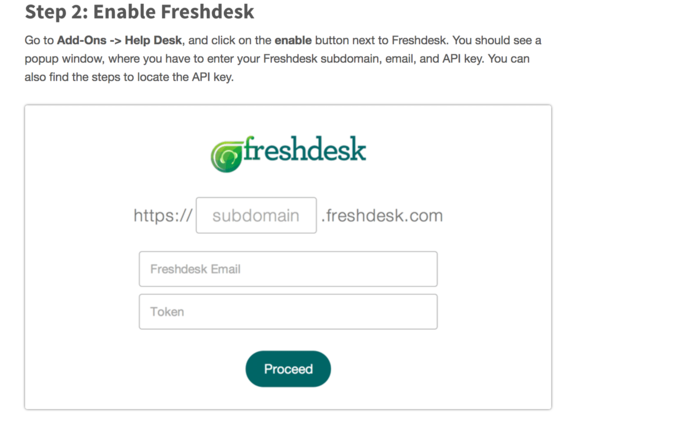 Add your Freshdesk subdomain, email and API key, and map the form fields to Freshdesk ticket fields using simple dropdown menus. 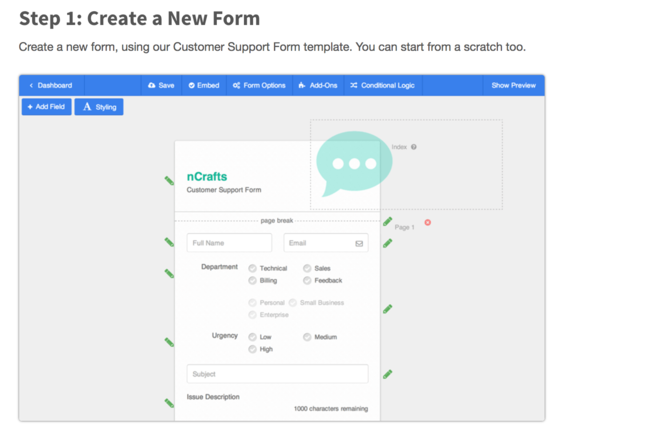 Copy-paste a simple code snippet to embed the support form on your site. * Now exit Add-Ons, save the form, click on Show Preview, and try it out!